I love the reading The Escapist, particularly the video reviews by Ben "Yahtzee" Croshaw on Zero Punctuation. 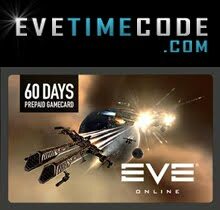 His review of EvE Online is really funny because in parts, it is quite close to the truth. Last night B13 and myself became trapped in wormhole space after one of our fleet caused the collapse of the exit wormhole, returning to back to Empire. Initially we were dismayed at the situation, but then we received a comms in local, a request from another pilot to exit wormhole space after being trapped for 3 days! Needless to say that this poor fellow was charged 30million isk with the promise of leaving via the wormhole we entered, he was then led to a safe-spot and murdered by our group. He wasn't happy, but he got what he paid for, he got out. 3 days! I'm not sure if that is true, and when asked if he returned to the same system he entered he declined to respond, funny that. Needless to say it got me thinking, would it be possible to live in wormhole space, farming the DED's, gas clouds and the asteroid belts and taking advantage of naive pilots who stray into this realm? At the time of writing our group is still in wormhole space, exploring the system and farming what we find all the while scanning for new wormholes. We are no longer within the original 'unknown' system as we have already travelled through another wormhole we've found into another 'unknown' system. I wonder long we can keep jumping? We could, theoretically remain indefinitely. Our only problem at the moment is on-board cargo space. After just one day we are all full to bursting with loot, minerals and salvage that we cannot continue looting without clearing the cargo somehow. So the next wormhole we hope to find back into normal space will be a welcomed discovery, but only to un-load our cargo. We plan to return, scanning, farming and pirating for the next few days. 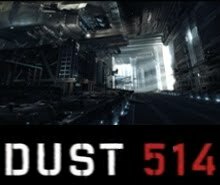 Now there are better and much more effective ways to aquire isk, but few are as dangerous, or as much of a challenge as the one we find ourselves in. I figure that 10 days should be an adequate test of this theory. If we survive the adventure then we may make it a regular event, perhaps calling in support in the form of a hauler or even a Capital, to provide us with the cubic meters to loot to our hearts content. Bringing a capital ship into wormhole space is risky, but done correctly, who knows what you could get in here. Only time will tell, and we appear to have plenty to kill, in every sense of the word. 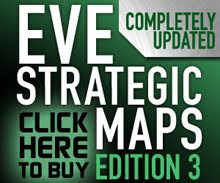 I had played this game quite a lot, until I found EvE Online. 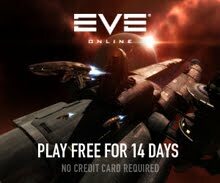 If you want to get away from EvE Online for a while, then this game may have what you are looking for. It has many great features, and graphically it can still hold it's own against many modern games. I have never before seen an asteroid field dealt with so effectivley as this game. They are massive and very densely polpulated by 'roids.' The weapon effects are cool too as are the ships themselves which have retro thrusters all over their sufaces to control attitude, yaw and roll (a feature I'd wish they'd employ within EvE Online). Played with very much the same sort of mechanic as EvE Online, shields, armour, hull and utilising weapons such as lasers, missiles and ECM, Nexus - The Jupiter Incident is worth a look. Another movie by KyokoSakoda. This time showing the build up to war for the Empyrean Age expansion. Again, well produced and plenty of action (not a bad soundtrack either). I tip my hat to you sir, keep up the good work. I found this movie on YouTube. It's a fan made video by KyokoSakoda. 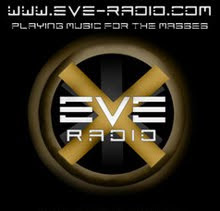 Visit the link to see more of his great EvE Online videos. 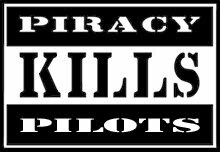 I have posted it because it is an awsomely compiled video and I have a soft spot for the Angel Cartel, and indeed piracy. My camera drones were able to grab this image of the Sleepers as B13 and I engaged them for the first time. Unlike anything seen before, these vessels are equipped with some sort of laser which can cause some serious damage very quickly. Be prepared to run! NOTE: These techniques were developed based on a zero deviation assumption. These techniques can be used with deep space probes but the deviations make it very impractical. The best time to use these would be when you are narrowing down the site with core scanner probes and after reducing your scan radii, you only get a ring or dots (This because the deviations are much smaller). Get a decent fix using 3 probes: Once you have 3 probes in space, you will have 2 dots as your result. If you then move one of the 3 probes and scan again, you will get 2 dots again but one of the dots will have shifted. The dot that didn't shift is where the site is. Tiree-Catryes planar method for 3 probes Once you have the ring with 2 probes, Drop a third probe and move all three probes into the plane of the ring. This should make the two dots right on top of each other. Get a decent fix using 2 probes: Once you have 2 probes in space, you will have a ring as your result. If you then move one of the 2 probes and scan again, you will get another ring but shifted. The site has to be on both rings so remember where the first ring was and look for the spot where the second ring goes through the same spot. The site will be there. Get a decent fix using 1 probe: Theoretically possible but what a headache. This is however your last resort, when everything fail this will let you know where the site is with a very good degree of precision. You'd have to remember the signature strength of the site, move the probe, scan again, and look whether the scan strength increased or decreased. Good luck with that though. 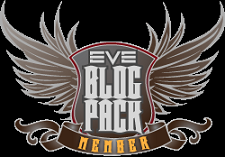 This is a link to my development discussions, and general ranting on the EvE Online forums. Bear in mind that I only rant at EvE's short-commings because I love the game so dearly. If you have ideas and want to say something that you would like to see added, changed or removed from the game then contribute to the relevant discussion threads. CCP appreciate the input from all of us, most of the time. Yum yum. I don't know about you but this video turns me on! Since the launch of Apocrypha on 10th March 2009, scanning has seen some changes, some more profound than others. The system is now much more fluid and user friendly than before and is a welcomed change to the game. Used properly it can make you rich with salvage and rare minerals, find hidden complexes and take you places you never imagined. A very much feared and capable pirate forged from an industrial slave wasteland. B13 has known only pain for most of his years as a slave on Sarum Prime. His childhood was not pleasant and gay, but harsh and cold, full of doubt and fear. The reasons he kills the way he does are his own, but he finds comfort in others misery. Freed from a life of slavery during the rebellion, he became an unlikely ally of Mr NOXx, a tale which will be told someday. He can be found exploiting the greed of the care-free pilots who venture into wormhole space to find riches and fame, only to find death and pain. This defines B13. If you see his name on the local beacon, heed this warning. Mr NOXx was a deadly assasin who killed in the name of the Emporer. A pilot from Sarum Prime and an advocate for the older traditions of Amarr. He is a lover of slaves in every sense of the word. 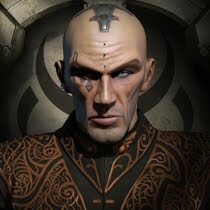 His actions caused him to be rejected by the Amarr Empire, hunted and persecuted from the Amarr Navy for a life of crime and self indulgeance on the outer rim. After 2 years sitting on the brink of the known galaxy he returned from the edge to reclaim his identity before the darkness inside consumed all that he was. Bitter and twisted from his life as an outcast, he roams the skies preying on the weak and foolish. With the help of B13, his closest yet most unlikely ally, he is rediscovering his identity as a pirate, killing in the name of the Sarum family. B13 made a fascinating discovery, instead of scanning down a ship or structure while looking for hidden belts to mine, he found a signal which refused to identify itself. He Contacted Mr NOXx over the comms system, whom suggested it was a ghost signal. "He doesn't get this sort of thing anyway." B13 thought to himself. He willed the ship to keep scanning. His persistence eventually paid off! He had homed his signal enough, so that his warp drive could lock onto a target and warp to its location. Usually when one probes close enough to a signal the probes can tell what they are before visual contact is made, not in this case however. B13’s ship began to vibrate as it shuddered from its warp field and back into to normal space. B13> 3..2..1..warpfield collapse..reducing speed...Eh? What in the hell is that? NOXx> What do you see B13? B13> I’m not sure, but I think it’s a tunnel of some sort…a wormhole! NOXx> Oh yeah? Okay…I’m on my way. Stay there. Don’t do anything. B13 was not one for being told what to do. B13 willed his thrusters to edge further forward to get a closer look. It was magnificent, like a giant glass dome, pulsating from all sides, and in the centre the vague images of a distant system somewhere. Mr NOXx arrived just in time to see B13’s ship disappear into the wormhole forcing the light to flex and buckle around the perimeter. B13's ship appeared again but not in the star system he was but somewhere else. Somewhere strange and alien somehow. His camera drones worked overtime to keep up with his thoughts as he searched the sky. NOXx> B13? Can you read me? B13> Err...yeah…You gotta see this! B13> It’s another star system…location - unknown! And I’m getting no local at all, no-one else is here. The interstellar beacon seems to be malfunctioning. NOXx> Are there any stargates or stations? B13> Not that I can see. Come on through! NOXx> Not without knowing that this wormhole is reversible. You come back through, then we can return together knowing that we can get back. B13> Roger that, returning to you. Without fear or hesitation B13 fired up his engines, swung his ship around and proceeded back towards the centre of the wormhole. As he approached the terminator once more the entire entity flexed and pulsated as his tiny Covert ops frigate was slung from one end of the galaxy to the other in an instant, back to known space. Mr NOXx saw him appear suddenly in much the same way as from a stargate. He deduced that the same effect was happening, but in a natural and incredibly powerful way. Kind of like comparing a light bulb to lightning. Mr NOXx's mind flooded with the possibilities of this discovery. NOXx> So there were no other ships there? And no local beacons, and no stations? B13> Not that I could see. NOXx> Interesting, this may be just what we have been looking for. I may be wrong but I bet this is not the only wormhole in space. And that fact that this one is in empire suggests to me that wealthy merchants, traders and explorers may use this space for their own purposes. Which in-turn means a target rich environment. No concord, no bounty hunters, just us and them. For a while at least. B13> You mean just like null sec but without the damn mileage? NOXx> Precisely. No blockaids, no sentry towers. B13> We could do well here! The giant wormhole observed the two tiny vessels approach its event horizon. As they were swallowed by the entity space and time appeared to flex as they dissapeared and they were propelled into the unknown once again.